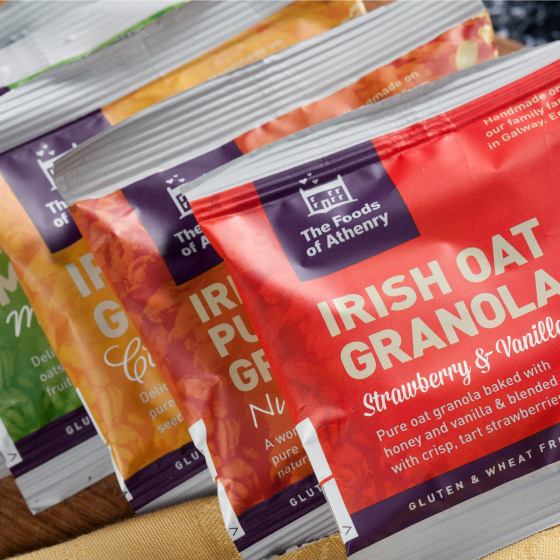 The Foods of Athenry are producers of gluten and wheat free cereal bars, breakfast cereals and cakes based in Athenry, County Galway. 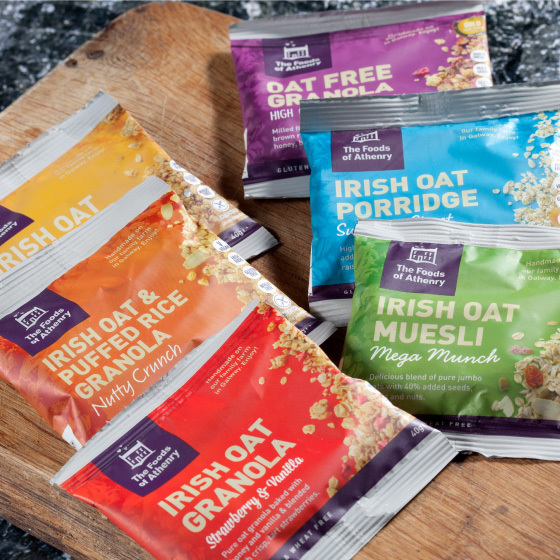 Thanks to the recent high demand for gluten free foods, their product range had expanded so fast that their packaging design had become disjointed. They approached us with a view to revamping their design system to optimise brand presence while continuing to communicate their family-business personality. They came to us with an already redesigned logo which we incorporated into he new system. There were many strong, pre-existing elements within the brand’s design vocabulary. Extensive use had been made of the colours purple and grey in POS, website and other non-packaging applications. We built these colours into the packaging. 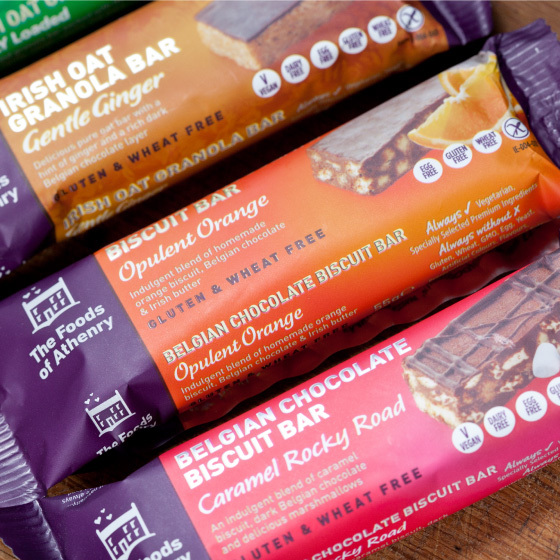 Previously, the logo treatment on-pack had been inconsistent and recessive; we made it bigger and more impactful and locked it into the top left of every SKU. We established a system for communicating the standard messages on pack – the product type; the product variant; the descriptor and the essential ‘free-from’ messages. We also established a convention for telling the story of the family business on front of pack to the right of the logo. 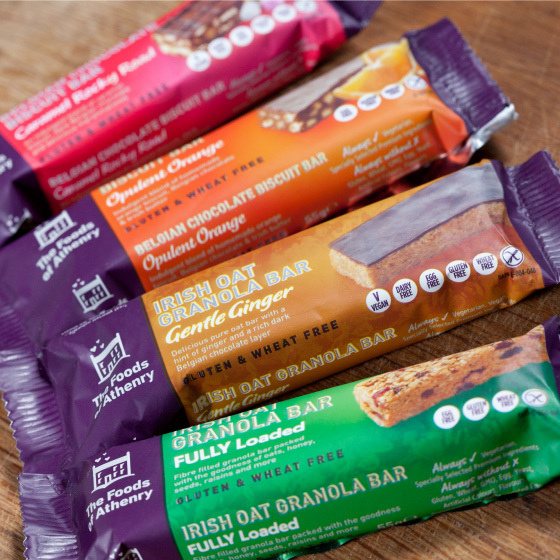 The new look is modern and consistently branded but first communicates the family personality of the brand.